MUMBAI: Benefits of the changes notified by the Department of Industrial Policy and Promotion (DIPP) on the so-called angel taxmay not apply to all startups, experts said. DIPP said Wednesday that startups have been given more leeway to claim exemption from the tax demanded on investments by angel investors at valuations deemed disproportionate to their earnings and revenue growth. While the Central Board of Direct Taxes (CBDT) is expected to soon issue a circular directing field officials not to press for payment in instances where assessment orders and firm tax demands have already been sent, some of the conditions may restrict relief. “There is a possibility that certain investment holding vehicles may not be able to take the benefit as they may find it difficult to satisfy the income criteria,” said Maheshwari. According to the DIPP, for exemption from the tax, an investor should have returned income of Rs 50 lakh or more for the financial year preceding the year of investment and a net worth exceeding Rs 2 crore, or the amount of investment made or proposed, whichever is higher. “The revenue requirements being increased from an average of Rs 25 lakh in the past three years to Rs 50 lakh in the past one year will see many startups being ineligible,” said Amit Singhania, a partner at Shardul Amarchand Mangaldas & Co. Startups that plan to raise funds from family offices or angel groups will continue to face problems from the tax department over valuations, experts said. In most cases, the taxman has challenged the investments made by angel investors, venture capital funds and other investors with the 30% levy that’s come to be known as angel tax. Tax officials are questioning the premium paid by investors in startups at valuations that are increasing while their revenue reduces or remains stagnant. The revenue department deems the capital in excess of the fair market value as other income that’s taxable. Also, in cases where the investor is not Indian, the tax department has in the past issued notices branding such investments as “unexplained cash credits” and charging 30% tax on them. 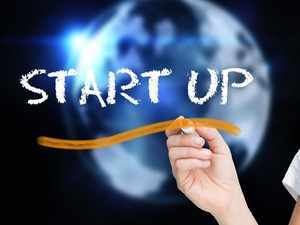 “Linking the angel tax issue with the whole definition of startup may not help as we have observed not too many startups had come forward for registration in the earlier regime. Furthermore, considering the dynamic nature of the market and the necessity of having cash by startups, the time period of 45 days is too long for them to survive,” said Singhania. Apart from startups, valuation experts are under the scanner. ET reported on December 25 that the tax department had started issuing show-cause notices to valuation experts, questioning the premiums that several startups fetched during their investment rounds. The valuations were based on certificates provided by these experts of businesses that had either failed to make money or show revenue growth as projected.